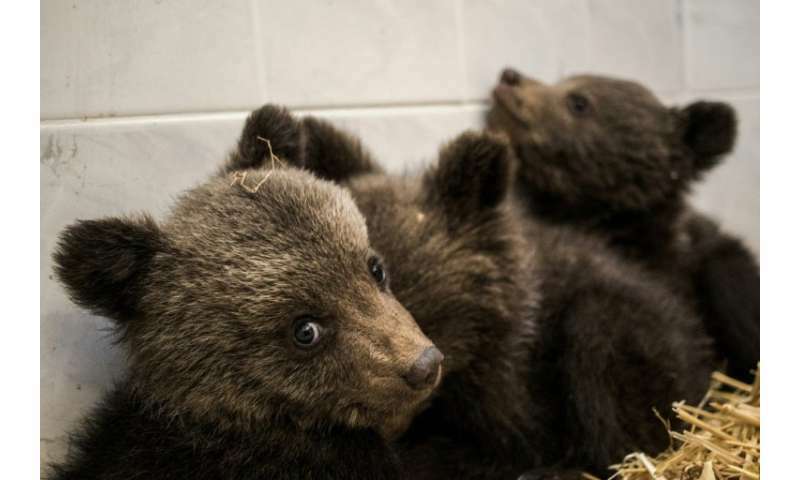 Three bear cubs have been rescued in Bulgaria after villagers found them roaming alone on a road in the country's southern Rhodope mountains, the Four Paws animal charity said Monday. Animal carers started feeding them goat's milk and vitamins while keeping up the search for traces of their mother. However, Four Paws' Dimitar Ivanov warned: "Our experience shows us that in 90 percent of the cases of bear cubs found in the wild, the mother has been chased away or shot by poachers." If unable to reunite them with their mother, the organisation plans to send the cubs to the Arcturos bear sanctuary in neighbouring Greece, where they will be prepared for their reintegration back into the wild. According to the environment ministry there are around 800 brown bears in Bulgaria, one of Europe's largest populations of the protected species.